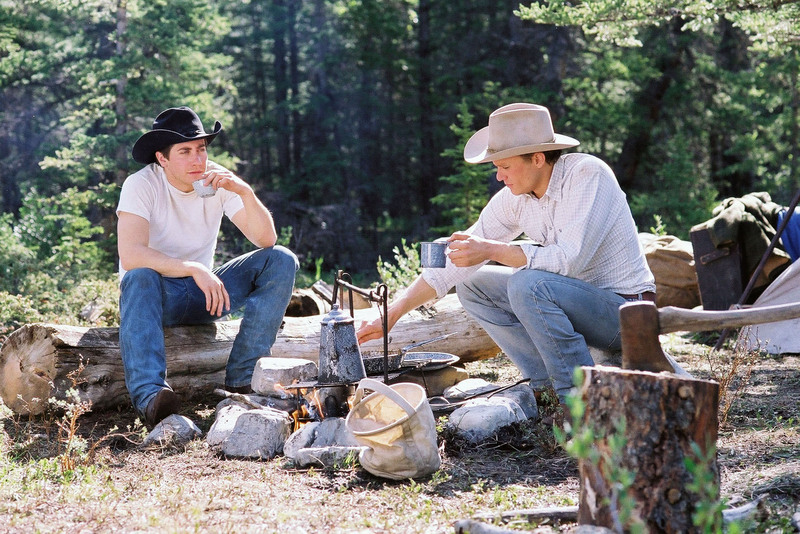 Brokeback Mountain Production Stills. . HD Wallpaper and background images in the فلمیں club tagged: movies movie 20005 heath ledger brokeback mountain jake gyllenhaal. This فلمیں photo might contain لکڑٹال, آرا مشین, لمبرمال, and سومالل.